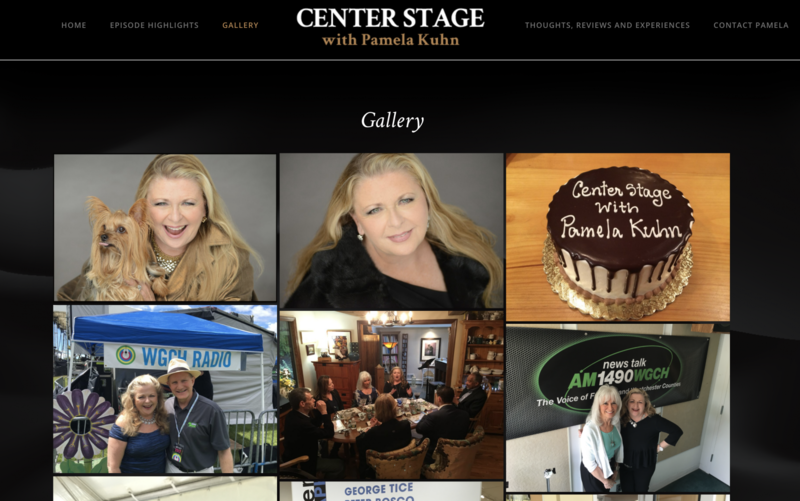 “Center Stage with Pamela Kuhn” is a radio talk show dedicated to the arts and the artists behind their work. 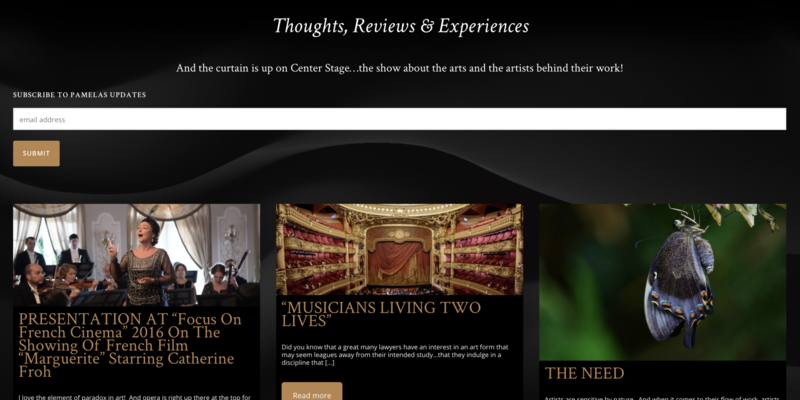 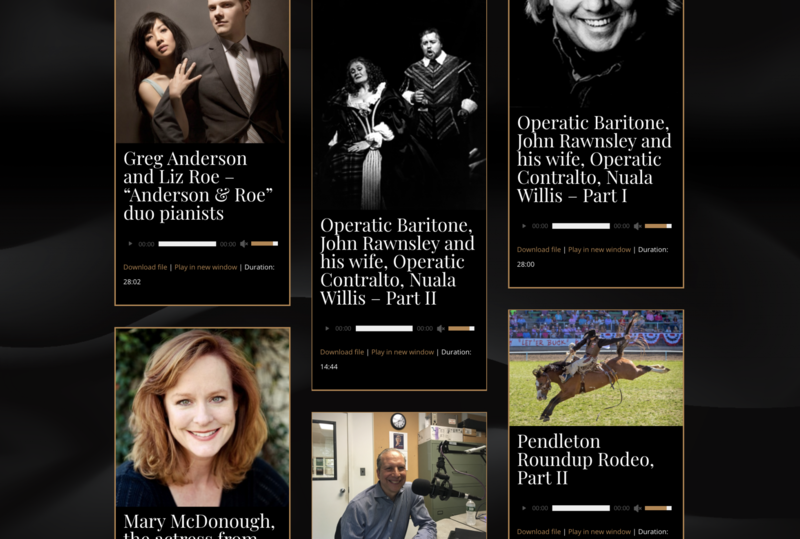 Hosted by professional opera singer Pamela Kuhn, “Center Stage” concentrates on a different interview each week with local, national and international guest artists from the world of classical music, dance, popular music trends, theater, film, visual artists, actors, directors, authors and visionaries. 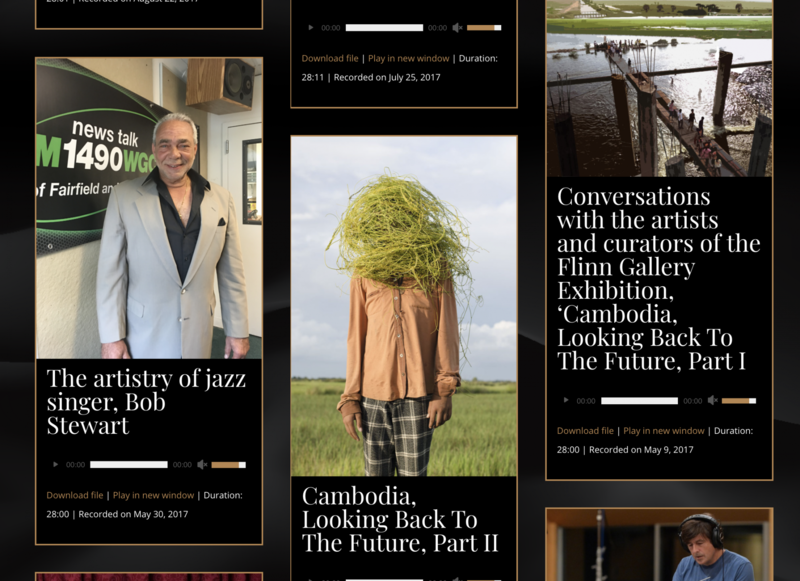 Bringing her own global influence after an international performing career, Pamela Kuhn celebrates her guests’s inspiration and courage while discussing their work, upcoming projects and what it means to be an artist in the 21st century. 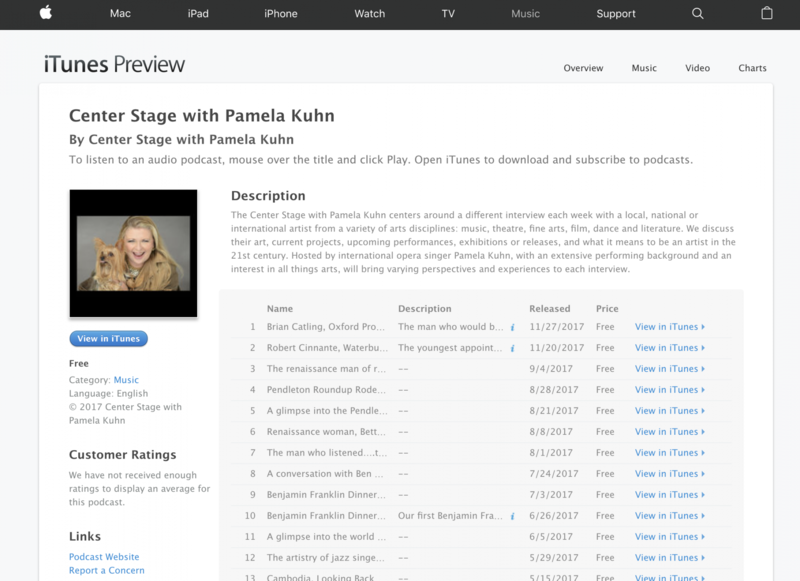 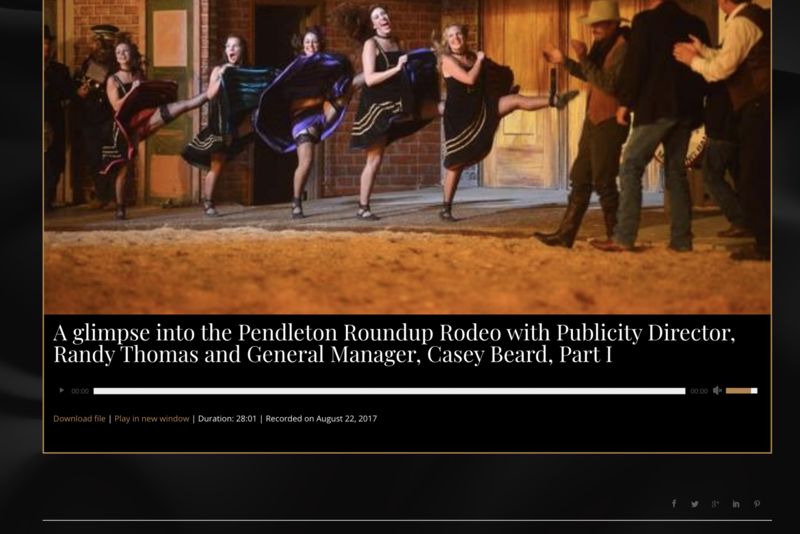 Pamela needed a website to showcase her podcast recordings while also directing people to iTunes to download the podcasts. 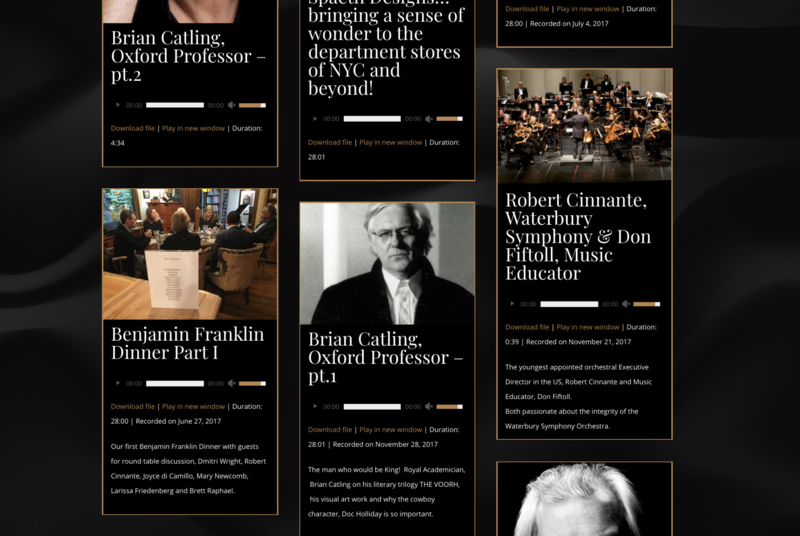 She also actively contributes to her blog and gallery, also located on the website.